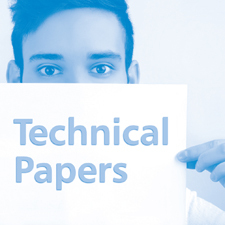 Our technical papers provide wisdom on hot broadcast technology topics such as IP media firewalls, fail-safe switching, chroma keying and SMPTE 2020. 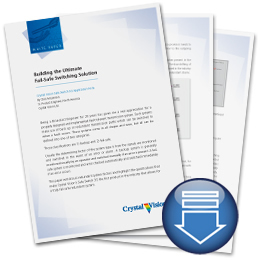 Synopsis: This white paper explores the areas where broadcasters are using a media firewall as well as explaining the features that the perfect media firewall should include. About the author: Stewart McGhie's engineering expertise comes from 25 years in technical sales and technical support roles, along with a university degree in Electronic Engineering. Synopsis: This white paper discusses SMPTE 2020, including how it can be used in a broadcast environment to transport audio metadata and the benefits it offers to those working with a Dolby E system. Synopsis: This white paper discusses the technical challenges of chroma keying and explores three possible solutions to these challenges: PCs, vision mixers and dedicated hardware. Synopsis: This white paper explores ways to build redundant transmission systems, highlighting the factors involved and offering Crystal Vision's Safe Switch 3G as a way of providing a truly fail-safe redundant system. About the author: Chris McLendon's 20 years as a broadcast engineer has included nine years as Chief Engineer for a TV station in Georgia (USA), where he was in charge of the entire technical operation of the station. He regularly shares his knowledge at SMPTE meetings across the States.